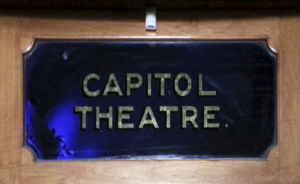 We are inspired by the once upon a time “Capitol Theaters” which was built back in the 1930’s. This Italian Renaissance design of the theater was designed by “P. Rogers Cooke” and the actual building only started getting built when architect, P. Rogers Cooke, returned from England on 14 December 1930.